Rupert Pupkin Speaks: Arrow Video: THE NIGHT OF THE HUNTER on Blu-ray ""
Bob Mitchum. What can you say about a guy like that? He is cool incarnate(and probably my favorite actor of all-time). More than Steve McQueen he is just cool. He brought that to a lot of his film roles, but he could also bring a lot more. He could bring sadness, regret, desperation and even a sense of maniacal evil if he wanted to. 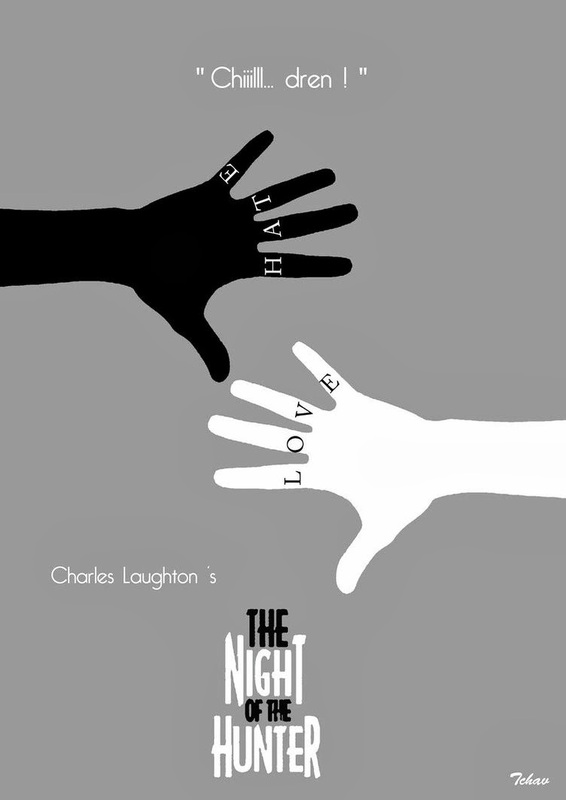 THE NIGHT OF THE HUNTER is certainly one of his greatest achievements as it is for the director, Charles Laughton. As you may know, Laughton sadly only directed this one film. It is one of the great "what if..." scenarios in cinema to ponder what Laughton might have done with subsequent feature film projects. 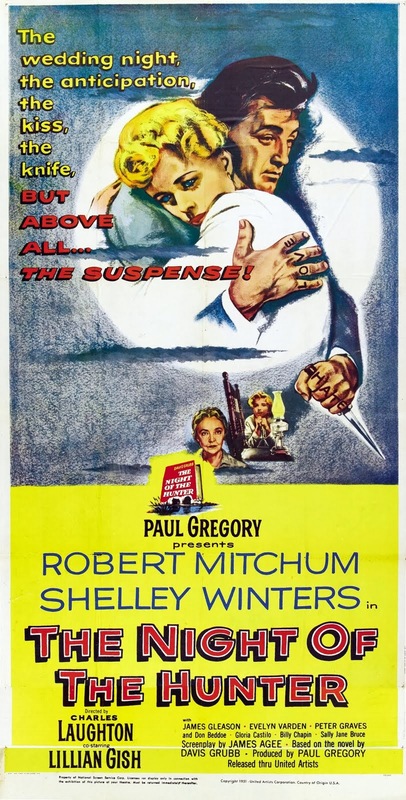 I would have been particularly excited to see Laughton and Robert Mitchum work together again. What he and Mitchum created with NIGHT OF THE HUNTER is one of greatest, most iconic evil characters in the history of movies. The feeling that Laughton gave his film was very much that of modern a Grimm fairytale of some sort. I would even argue that Mitchum's character in NIGHT is one of the prototypical boogeymen of cinema. He would play a similarly malevolent gentlemen in CAPE FEAR some years later, but at least his Max Cady character in that film feels like he came from something resembling the real world. Mitchum in NIGHT OF THE HUNTER seems to come from some evil netherworld, almost like he's the devil inhabiting the body of a convict. NIGHT OF THE HUNTER is not only an iconic tale as a movie, but it is also a very good looking film. The cinematographer Stanley Cortez also shot Orson Welles' epic THE MAGNIFICENT AMBERSONS as well as Sam Fuller's films SHOCK CORRIDOR and THE NAKED KISS. He captures a pretty fantastic black and white frame and this Arrow Blu-ray does it justice in a lovely transfer. -A New digital transfer made from 35mm film elements restored by UCLA Film & Television Archive in cooperation with MGM Studios, with funding provided by the Film Foundation and Robert B. Strum. -An Isolated Music and Effects Soundtrack. -Charles Laughton Directs “The Night of the Hunter” - A two-and-a-half-hour documentary on the making of the film featuring outtakes and behind-the-scenes footage. -Archival interview with cinematographer Stanley Cortez. -Reversible sleeve featuring original and newly artwork by Graham Humphreys. -Booklet featuring new writing on the film by critic and filmmaker David Thompson.